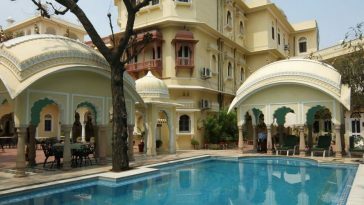 Luxury hotels come in many different shapes and sizes, as the following list will prove. In all corners of the globe innovative designers are pushing the boundaries of where they can next perch a hotel and what random object can be converted into a sweet suite. 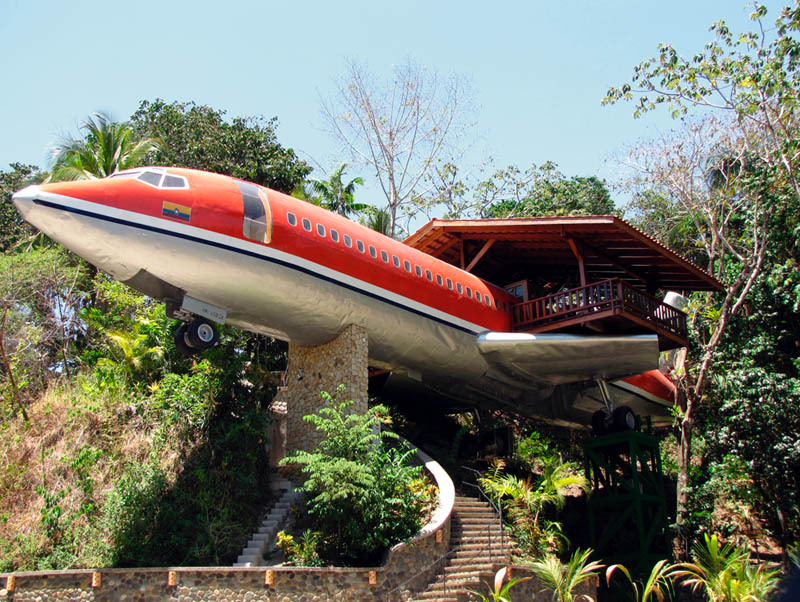 Perched 50 feet up overlooking the jungle and the beach beyond is a 1965 Boeing 727. Was there an unfortunate crash at this posh resort? Nope! Some genius in charge purchased the old fuselage and refurbished it into a teak lined, 2 bedroom apartment! Gleaming wood tones, plush furniture and a stunning view make this a singular guestroom. I would want to spend the days chilling with the toucans and monkeys over a cocktail on the canopy level patio. Adjacent toEmanuelAntonioNational Park, this resort is in prime location for both hiking in the rainforest and snorkeling at the beach. 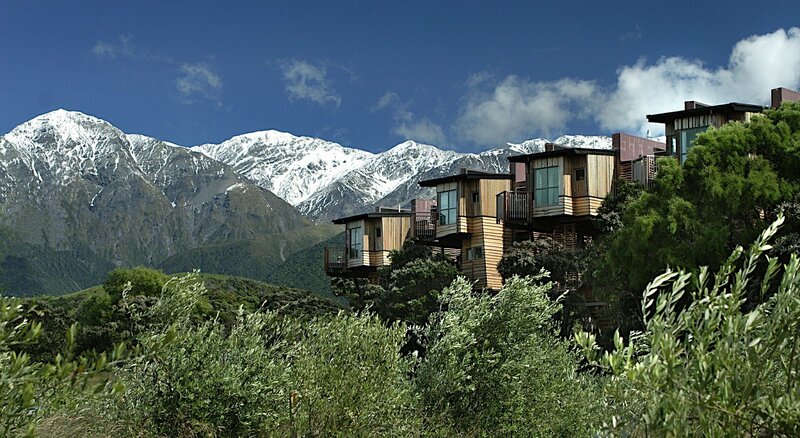 Another tree top novelty is offered in NZ, nestled between the snowcappedKaikouraSeawardMountainsand the Pacific. These tree houses are not only luxe, but also very eco-friendly. Surrounded by a vast deer farm and olive grove, they blend in with the Manuka tree tops. Take in the sweeping view 30 feet up on your private balcony or lounge on hand crafted wood furniture whilst still enjoying every modern amenity. Two level tree houses are available to accommodate families here. Kids will love the abounding wildlife in this region of NZ and it is easy to get up close and personal on whale watches, hikes into the mountains, and sea kayaking ventures. Every winter in Québec, snow masters build the renowned Ice Hotel. Thirty-two (just below) freezing rooms, a lounge and full bar, spa and chapel are all crafted from scratch. Cozy deer skins, arctic sleeping bags and hats and mittens make this a unique yet unmistakably glamorous night away from home. Just try to resist feeling a bit like James Bond as you sip a (literally) ice cold martini from a cocktail glass made from ice. In the courtyard there are soothing spas and saunas to cut the chill and a glittering night sky above to inspire awe. How cozy, tucking into plush arctic sleeping bags at the end of the night with a flickering fireplace reflecting off the walls of your ice suite. This one intrigues me and I can’t wait to someday visit. Tucked in Goreme’s historic old village, seemingly out of a Star Wars scene, Kelebek Hotel’s “fairy chimneys” rise, twin spires against the rugged mountain background. 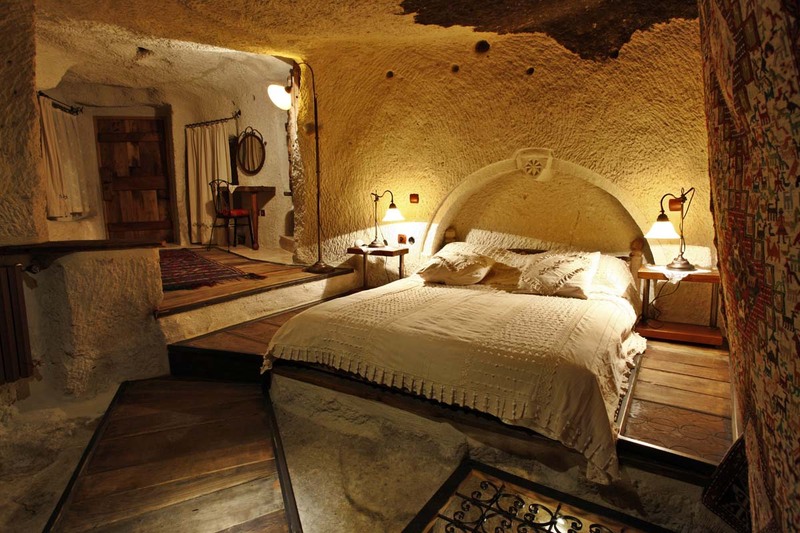 This ancient Turkish home gracefully and seamlessly fits stone arches with the natural caves. Terraced gardens, hand carved furniture and opulent marble bathrooms spell luxury in the thirty six unique rooms but the traditional Turkish bath and saunas evoke pure Middle Eastern opulence. Notice the artful detail in this strange building, centuries old frescoes and hand-hewn bed frames. Treat yourself to an adventure into the mountain moonscape or a romantic hot air balloon ride for a special view of the region. 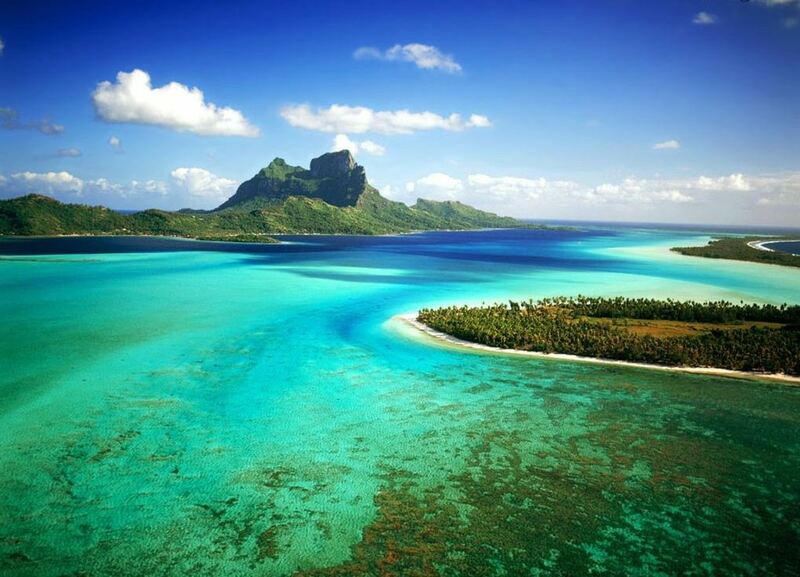 This family owned property is sure to impress even the most discerning traveler. This city is so cutting edge they boast three special hotels that all deserve a place on this list. First, the lifeboat hotel. The Lilla Marras was an accomplished sea rescue vessel between 1955 and 1979 but is now outfitted with shining, modern amenities to suit any discriminating hotel guest. The Harbour Crane suite is literally a hotel room up in a working crane house, tastefully decked out, 160 feet up (and you get to play with the crane for real!). 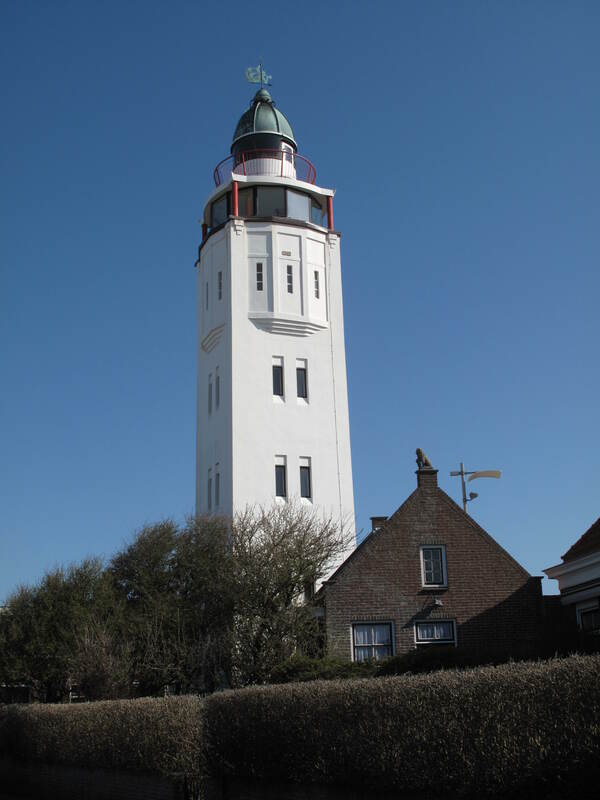 Third there is a cozily appointed, multi-level accommodation in a vintage, early 1900s lighthouse. Hotel staff will magically serve you breakfast for two in any of these unique digs andHarlingenis a mere hour from the potential fun ofAmsterdam. Noella Schink is a travel and beauty writer from Portland, Maine. For your next trip abroad try Auto Europe for your car rental needs to and from your weird hotel. Next article What makes a Good Hotel Booking System? These is a great list of hotels from all over the world. Thanks for sharing.